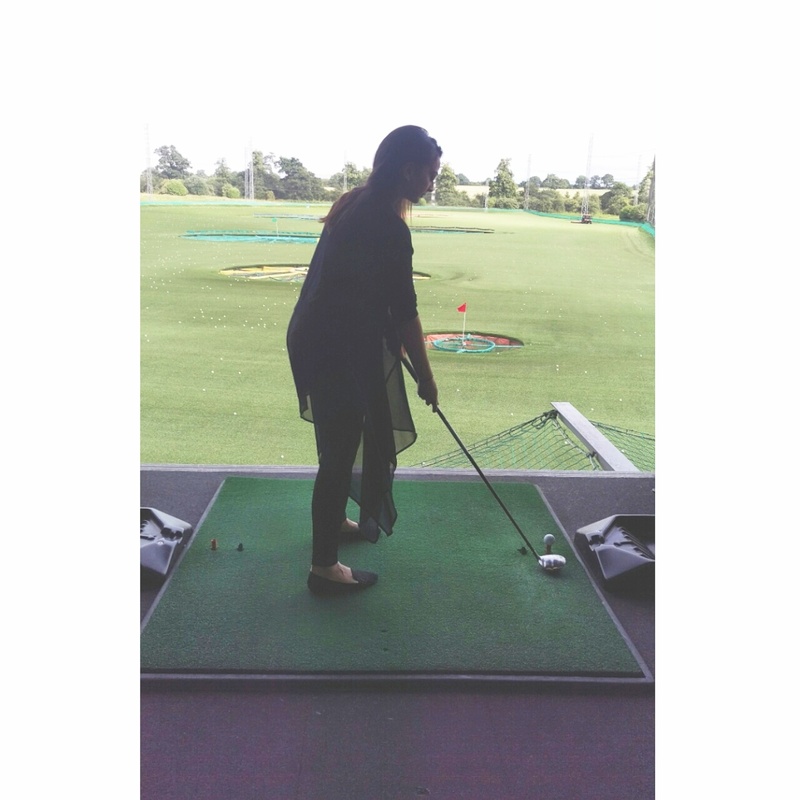 This week I went to Top Golf in Chigwell. Admittedly I was a little hesitant because this place holds such fond memories for me and I have weird reservations about re-visiting places of such sentiments. As soon as we parked up, my mind flooded with some serious nostalgia, way back to when I was a teenager and life’s worries were nothing more than worrying about my homework. Still, determined not to let my reminiscence get the better of me, we made our way to Top Golf. There’s a huge car park so it’s easy access and you don’t have to pay for parking. Usually there is always a queue and you’re nearly always given a ridiculous waiting time of about an hour to two hours. Do not be put off, just agree and shuffle along because it’s never the waiting time that they say. You”re given a buzzer for when you’ll be called up to make payments and get your clubs. I was ridiculously hungry so we decided to get a bite to eat whilst we waited our turn. Since the food isn’t halal and I wanted to eat a littlebut not too much, I opted to order a kids meal. Judge me all you like but they have the best sized meals! 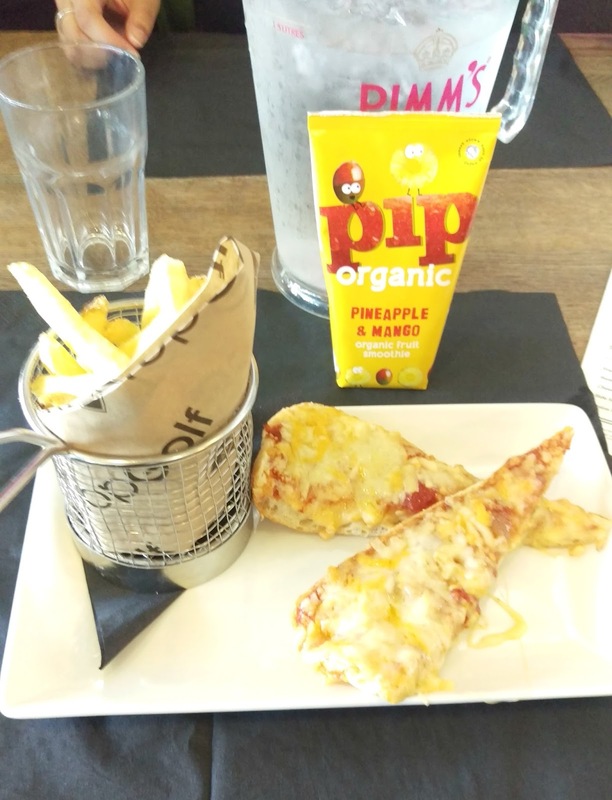 My margarita, chips and juice were lovely and so were the humoungous tray of nacho’s we ordered. Personally, I think the food is really reasonable and tasted pretty good. Almost as soon as we’d eaten our buzzer had buzzed and we went over to a cashier where he asked to see ID. I’m not entirely sure why you have to be 18 and over to play at Top Golf but if you decide to visit then don’t forget your ID. 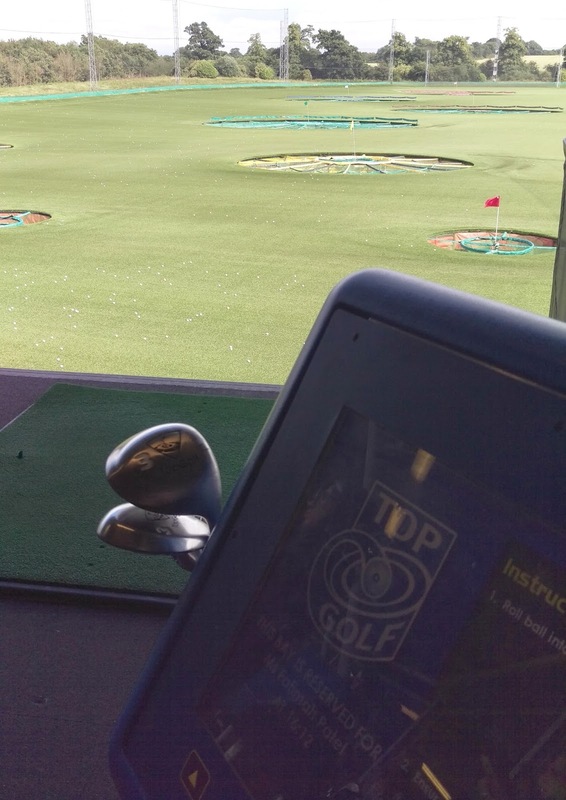 If you’re new to Top Golf or haven’t been in years, they ask a few details and you’re issued with your very own Top Golf Card. I’m a weirdo because I collect cards (do not ask me why) so I was pleased to get one with my name printed on it 🙂 Your games are loaded on to the card and you’re then able to grab your clubs and collect your balls.